We recently wrote to members about this exciting training event, covering a number of current issues affecting the air charter market. 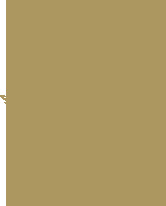 We have deliberately arranged the event to take place at the RAF Club (128 Piccadilly, London W1J 7PY) on the day of our charity for 2018, fly2help’s Gala Dinner, which takes place in the evening. Please see below details about the afternoon; sessions, topics and how to book. 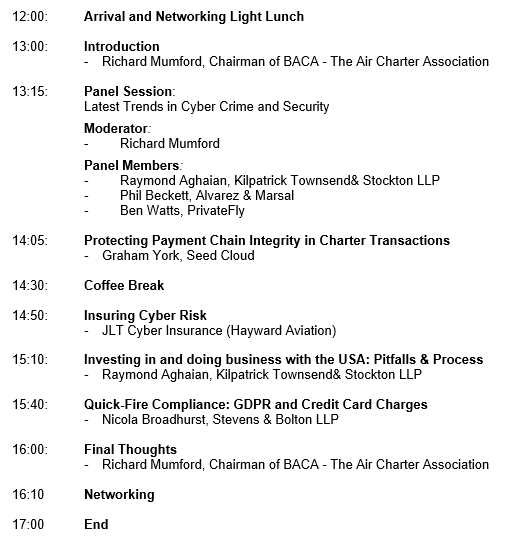 With the impending enforcement of the EU’s General Data Protection Regulations, an increase in Cyber Security issues in the industry and growing challenges and opportunities in payment methods, BACA is arranging a training afternoon on Finance and Data Protection, aimed at senior managers, finance and legal professionals in the air charter industry (MEMBERS ONLY). With a panel of experts who specialise in risk, payments, GDPR and cyber security, the afternoon promises to give more information on the threats and an opportunity for attendees to ask questions. Limited places are available for members. To book, please contact Madeleine Puzey at events@baca.org.uk or +44 (0) 20 7118 7557. Cost is £50.00 for the first attendee per company and £75.00 for additional places. Booking is on a first-come, first-served basis.